Handmade jewelries are jewelries designed and created exclusively with hands and manual tools. Every part of the jewelry is created by hand. This is why handmade jewelries are not mass-produced, unique and one-of-a-kind. There are different types of hand-made jewelries. In other words, hand-made jewelries are categorized. There are bead weaving, bead stringing, wire works and more . Bead weaving involves the use of beads to weave different types of designs into necklaces, earrings, rings and bracelets. This category of handmade jewelry involves a lot of seed beads, needles, beading threads, strings and patience! A lot of patience as you may have to repeat the same process for hours using needles which may involve re-threading. This can be repeated several times during the creation of a design for a necklace, earrings or bracelet. This is very common and simple to do. From children to the elderly can actually participate in this category. It is usually fun and relaxing. 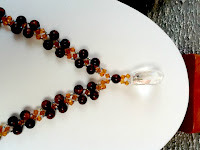 However, this is not just all about beautiful beads and stringing! It involves more complex designs that need experience and technicality. 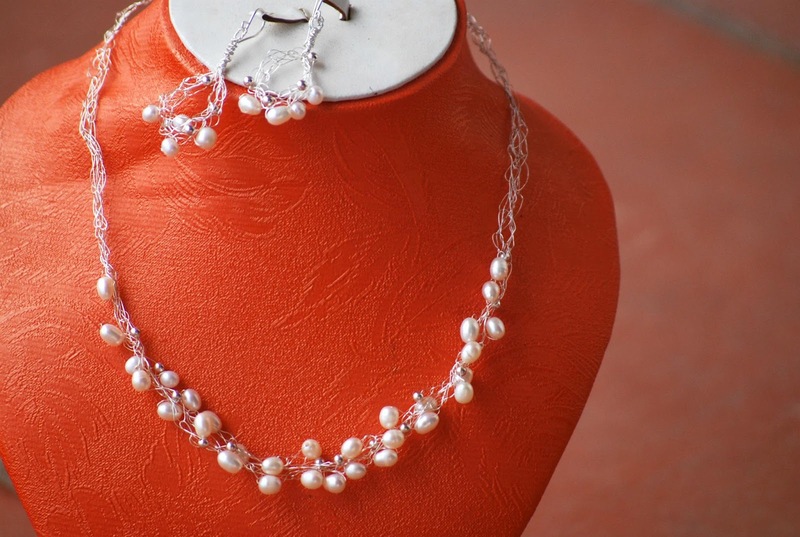 It involves illusion or bridal designs, multi-strand ranging from 2-8 strands or more. Beads of different sizes, shapes and designs are used in stringing to create beautiful pieces. Basically, this involves thread of different thickness (gauges) and uses. The thicker the thread (usually called Tigertail) the less flexible the design while the thinner the thread the more flexible the design turns out to be. Here, the creativity and designs are endless. It could be very simple as well as very complex depending on the design and look you want to achieve. 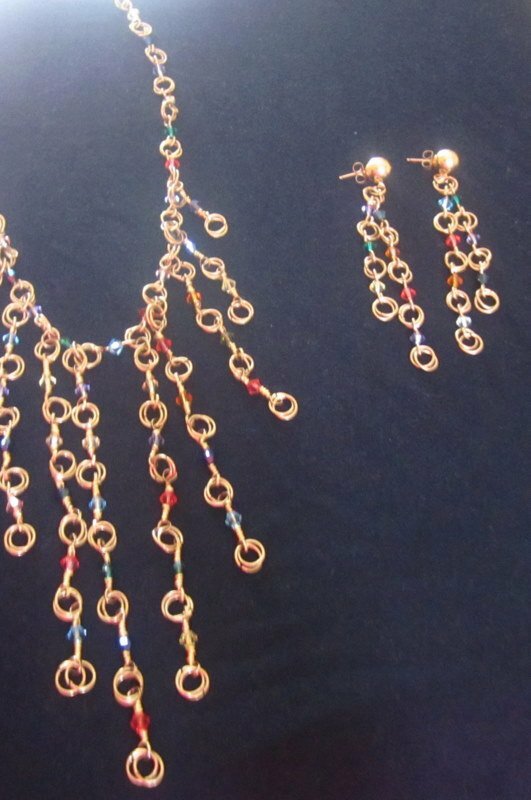 Wire works involves the use of jewelries wires to create lovely jewelries. This could incorporate the use of beads or the only the use of wires. Wire works in handmade jewelry can be simple as well as complex. This involves the beginner stage up to the very advanced stage. Some manual tools are used to create designs in wire works. The wires used in the jewelry come in different gauges (16g-30g) very thin to very thick wires with different diameters. This gives the jewelry created different designs and shapes. Another type of wire work is Chainmalle. This involves the use of wire to produce jump rings. These jump rings are linked in different ways to create very lovely designs of jewelry. Crocheting is another type of wire works where very thin wires are crocheted to create lovely pieces. Here, beads can be added to the crocheting to give beautiful designs. The crocheting is done with crocheting pins that also come in different gauges. These different gauges of crocheting pins give different looks and designs. This is quite simple to achieve,( if you are comfortable with crocheting) and takes less time too. With these categories, it’s clear that there are diversity in the world of handmade jewelry. Handmade jewelries are unique and stunning depending on taste and personality. This is due to the fact they are exclusive. So do not be afraid to explore and try out the different designs in the world of handmade jewelries.